Real Property Management Houston offers the most comprehensive and cost effective Residential Property Management solutions in the The Woodlands TX area. Our innovative processes and systems are managed by a professional, well-trained staff of experienced managers, maintenance technicians, and accountants. 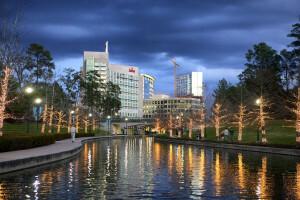 Want a small town feel close to the larger city – The Woodlands TX fits the mold. One of the nicest places in the Houston are to live and raise a family – The Woodlands has great shopping, wonderful golf courses and excellent schools. What more could you want? Hot and humid as all Texas is – but you are a small drive straight to the Beach to Galveston.